Huntsville International Airport announced a new carrier to serve the area. Frontier Airlines will begin service in October and, in making the announcement, Rick Tucker, executive director of the Airport Authority, revealed introductory $39 air fares; non-stop flights from Huntsville to Denver International Airport; and the only non-stop service to Orlando International Airport. 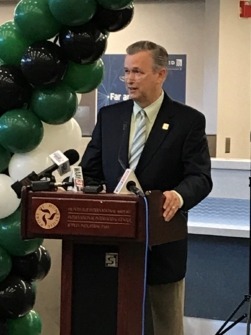 In front of more than a hundred people on hand for the “Big Reveal” in the airport’s main terminal, Tucker said it is an exciting time to be here in our community and an exciting time to welcome Frontier Airlines to Huntsville. Huntsville International Airport Executive Director Rick Tucker announces the arrival of Frontier Airlines. Guests at the event were provided with paper airplanes upon arrival. Two guests opened their paper airplanes to find they had won a $500 airfare voucher – one to Orlando and the other to Denver. The introductory air fares are available at flyfrontier.com. “We are proud to bring our unique brand of ‘Low Fares Done Right’ to the Rocket City,” said Stephen Shaw, spokesman for Frontier Airlines. “Frontier’s new flights to Denver and Orlando will make air travel more accessible and affordable for everyone in Huntsville and northern Alabama. “This partnership is important to us because it fills a specific void for a low-cost carrier for our leisure travelers at HSV,” said Betty Fletcher, chairman of the board for Huntsville International Airport. “It is no secret that Huntsville has a lot of expendable income in the market, it also it is a known fact that we have a lot of very frugal engineers that have demanded fair, competitive, comparable fares. The Frontier Airlines network serves more 80 cities in the U.S., Mexico, and the Dominican Republic. Frontier has more than 1,000 nonstop and connecting routes. 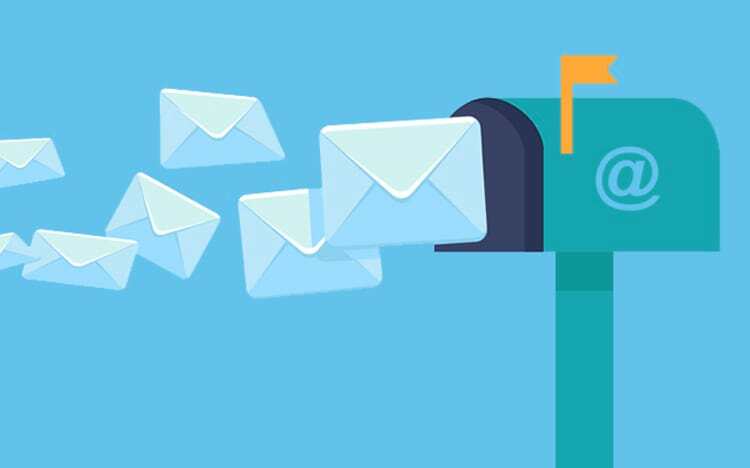 “Couple that with stability, structure, and an excellent track record for supporting low cost carriers, and you have a recipe for success,” Shaw said.